Do you know the difference between Receiver and Receiver Infrastructure? What about Receiver Enterprise, Receiver Inside or Receiver Updater? Did you hear about the upcoming One Receiver? Are you confused as most of my customer when it comes to that topic? Good because in this article I will try to explain the differences and the Citrix Receiver idea! Before the release of Receiver, Citrix had various “Clients” for different reasons like the ICA Client, the Secure Access Gateway Client, Password Manager Client etc. with the tendency of more clients to come. Now if you are using more and more Citrix products (Platinum License was introduced) how do you manage all those clients? Also there might be some dependencies between clients to make things work. For example you might need a VPN connection before you can use the ICA client. So what’s missing is a delivery of Citrix client’s best controlled by Citrix Administrators and at the same time an orchestration between Citrix clients. To solve that problem Citrix introduced Receiver 1.0 and Merchandising Server 1.0 At the same time Citrix started to rename their clients to plug-in’s. It started with the Online plug-in (web and full), Secure Access plug-in and so on. Why call it plug-in? Because it was the idea that those clients plug into Receiver and Receiver is doing the orchestration and management of the plug-ins. Like an umbrella that covers all the plug-ins and was more or less what Receiver 1.0 did. Back then when you closed Receiver, all the plug-ins became visible again in the system tray. Now to deliver the plug-ins an additional component was required and that is Citrix Merchandising Server, a Linux appliance for XenServer and VMware. Within Merchandising Server (the one thing Citrix really should have renamed and never did…) you create deliveries where you define and pre-configured plug-ins that should be delivered to AD groups, computer names etc. Receiver is then configured to contact Merchandising Server and after the user has entered his/her credentials, Receiver is pulling down the plug-ins that are defined in the delivery. 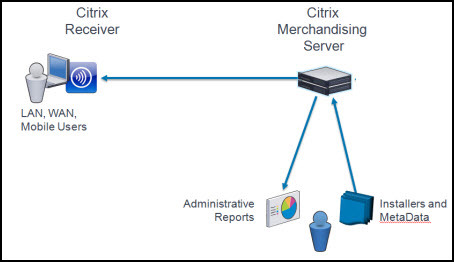 Administrators of Merchandising Server can review delivery reports and initiate re-deliveries (re-install incl Receiver!) or a complete uninstall. This is in a nutshell the explanation of Receiver and Merchandising Server but that combination is called Receiver Infrastructure! Hope that makes sense. When you go to the Citrix client download page you will see on the right side Receiver Infrastructure, no wait Citrix just changed that to “Additional Client Software”. 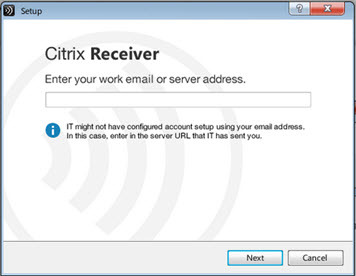 Logon and select Citrix Receiver. Here you find Receiver Updater, Receiver Enterprise, Merchandising Server and more. For people who just want the Online plug-in (to get the system tray icon), they need to customize the Receiver Enterprise installation to exclude Receiver Inside. The Enterprise (Legacy PNA) version is also targeted for administrator installation using an Electronic Software Distribution (ESD) tools or Merchandising Server and the Receiver Updater. This is probably what most people use and most likely the one that is hard to deal with. As I said before, Receiver 1.0 was basically just a wrapper of other Citrix clients. 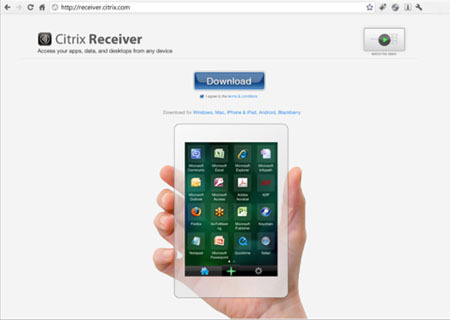 Over time Citrix evolved Receiver and made available as a “package” of Receiver and plug-ins and is what you get today directly from the Citrix client download page. The current version of Receiver 3.2 includes the Web Online plug-in (Web Client) and the Self Service plug-in. The Self Service plug-in requires an additional component, the Citrix StoreFront (or the old Delivery Services). The Self Serfice plug-in is not configured and will pop-up in some cases and ask the user for a store location. Many are not familiar with the Self Service plug-in (Dazzle) including most Citrix Administrator and caused some issues. At Citrix Synergy 2012 in San Francisco the One Receiver was presented and the idea is promising. As explained before Receiver Standalone caused some issues and Receiver Infrastructure was/is unknown to many. In the future you go to http://receiver.citrix.com and you get a very simple web site that tries to detect your client os. According to your OS you get the right Receiver. One Receiver has only the capability to launch ICA session through Web Interface / StoreFront or ICA files. That means the ICA engine is built into One Receiver but nothing more. Think of the web site like the one for Acrobat Reader. Let’s continue on the example. Acrobat Reader is checking online if there is a new version so you can be up to date. Same is true with One Receiver. Clearly as a company you might not want that. For that reason StoreFront gets a new feature called the Account Service. Administrators use the Account Service to configure what bundle of settings the user should get. For example the Store address, an optional update system from Citrix or a Merchandising Server and also an Access Gateway logon point in case full VPN is necessary. When the updater option is Citrix.com (not a Merchandising Server) then the administrator can choose the set of plug-ins to be deployed and kept up to date directly from Citrix. The Account Service itself is discoverable (DNS record and/or Service record) from an email address or URL in order to deliver those settings to Receiver. It’s to expect that StoreFront will take over the Merchandising Server role in the future. Once the user got One Receiver it’s controlled by the Administrators if Receiver is updated and that includes all mobile Receivers! So mobile user can only update Receiver when configured in StoreFront Account Service. So what do you think? Will One Receiver put an end to the Citrix Receiver confusion? Is One Receiver the way to go? Is StoreFront the future beast you need to manage? PrevvSphere 5.0 U1a was just released, vDS/SvMotion bug fixed!